What Do Beer, Fashion, and Ugly Vegetables Have In Common? They’re Tackling Food Waste! Landfill Salad. Cow-Feed Fries. 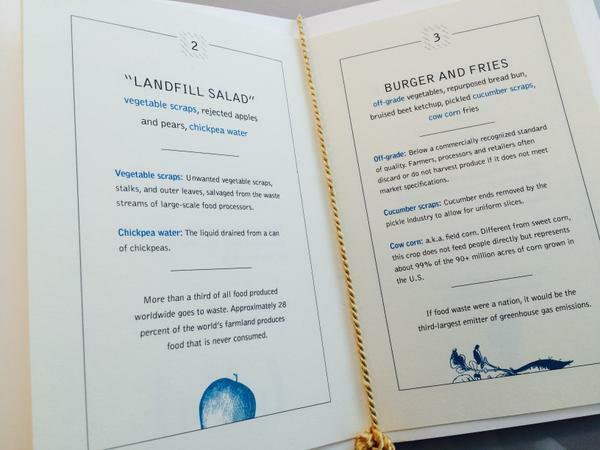 These are some of the “trash to plate” dishes world leaders dined on at the 2015 United Nations Sustainable Development Summit. To demonstrate the impact of food waste and agriculture on climate change, renowned chefs Dan Barber and Sam Kass crafted a menu specifically from foods that we carelessly throw away. According to the Washington Post, guests were served salads made from vegetables and fruits that would have been deemed not pretty enough for the grocery store, burger patties made from leftover juicing pulp, and fries made from the corn we feed to cattle. Image credit @UN_Spokesperson Twitter account. 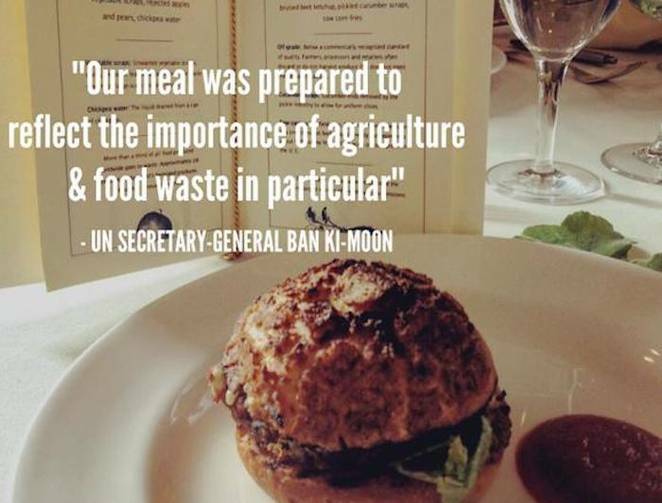 Read more on what UN Secretary-General Ban Ki-moon had to say about the unconventional lunch. *** Top featured image credit @UN_Spokesperson Twitter account.